Whenever constructing cables into a building, we always need to consider the installation places. Different spaces may result in using the different cables. Plenum and riser areas are two common places for cable deployment. According to this, cables are rated into distinctive fire ratings as plenum cables and riser cables. This article is going to present a brief comparison between these two types of cables. 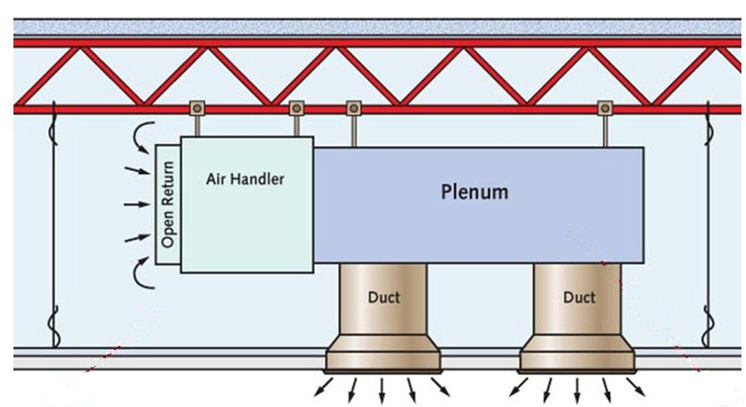 In a building, a plenum is a separate space used for air circulation for heating, ventilation, and air-conditioning. The space is often between the structural ceiling and a drop-down ceiling. Sometimes, plenum also refers to the space under a raised floor. 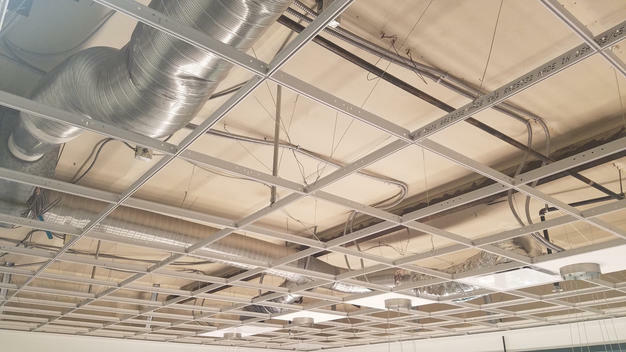 Since the plenum areas is a renewable source of oxygen and distribute environmental air, the cables installed in this area should have higher fire resistance. The typical application of this space is to house the communication cables for building’s computer and telephone network. 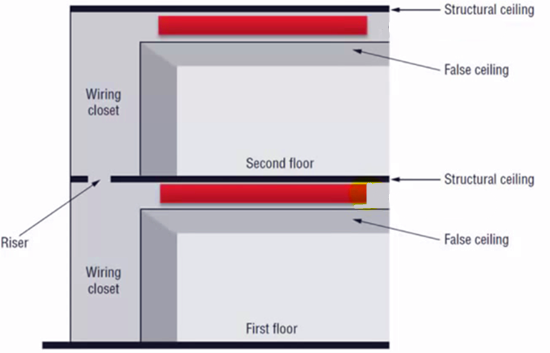 Different from the plenum, a riser is a vertical area that passes from one floor to another floor inside a building. 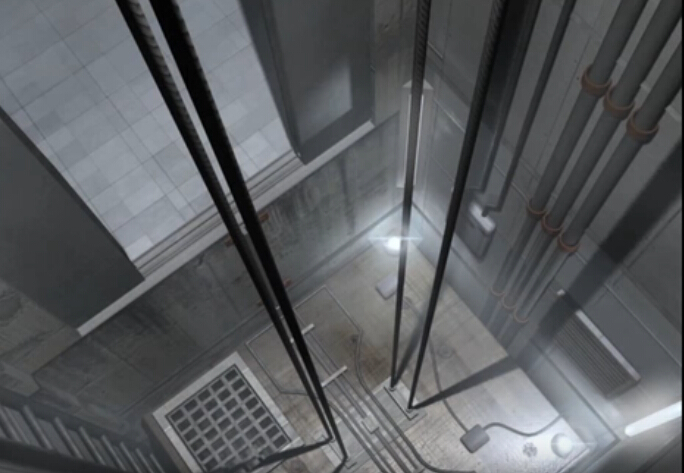 For instance, elevator shafts and conduits from one floor to another floor are all risers. Cables planted in risers should also be fire-proof to prevent the flame from traveling up the cable. However, the fire rating requirements for riser areas are less strict than those for plenum areas. In North America standard, CMR and CMP are used to describe riser and plenum cables. “C” and “M” are used to indicate that the cable is complied with the NEC (National Electrical Code). “R” refers to riser and “P” refers to plenum. Here will illustrate the main characteristics of plenum and riser cables in the following parts. Plenum cables, or CMP cables are installed in the plenum areas of buildings. This type of cables has a fire retardant plastic jacket. Materials of the jacket is either the low-smoke polyvinyl chloride (PVC) or the fluorinated ethylene polymer (FEP). If the cable comes across a fire, only little toxic fumes will emit as it melts. Plenum rated cables have a higher fire rating for both commercial and residential use. When cables are needed in the air ducts, plenum cables are the primary choice. Riser cables, namely CMR cables, are widely used for regular networking from floor to floor in non-plenum areas. Since the demands for riser cables are lower, plenum cables are usually used as an alternative of riser cables. However, replacing the plenum cables with riser cables is not available. Riser cables can also be applied to both commercial and residential areas, but residential homes are more common. Here lists some regular acronyms for plenum and riser cables, you may use them for a quick reference. CMP: Communications Plenum. It can be installed in any space. CL3P: Class 3 Plenum. Usually for in-wall installation in plenum, riser and general spaces. CL2P: Class 2 Plenum. Usually for in-wall installation in plenum, riser and general spaces. CL3R: Class 3 Riser. Usually for in-wall installation in riser and non-riser spaces. CL2R: Class 2 Riser. Usually for in-wall installation in riser and non-riser spaces. Choosing the right type of rated cables can effectively reduce loss and is healthier to people when the cables are burning. Plenum rated and riser rated cables are generally employed for building constructions. If your application is related to the areas mentioned in the article, using plenum and riser cables is very necessary.